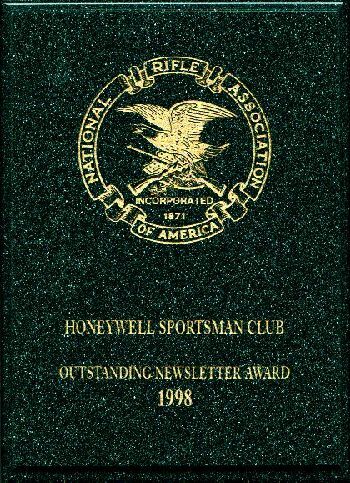 Honeywell Sportsman Club Receives NRA Outstanding Newsletter Award! Congratulations to us all! There's no way that I could possibly take all the credit for this fantastic achievement! This award truly belongs to each and every member who has contributed to our newsletter over the years! Thanks guys, for making this happen! It was actually almost exactly one year ago that I received a mailing from NRA's Clubs and Associations Department, right after we first affiliated with NRA, describing the awards program. There are quite a few categories of awards. Some examples are "Shooting Club Achievement Award," "Shooting Club Meritorious Achievement Award," "Outstanding . . . ," "Most Improved . . . ," and then the one that caught my attention, "Outstanding Shooting Club Newsletter." You guys know that I'm pretty proud of the newsletter we turn out, so I figured that we had a pretty good shot at it. Still, I didn't tell a single soul that I had sent in the application. I didn't want to jinx it. For the application, I enclosed the 4 most recent editions, which were August, September, October, and November of 1998. In the letter that I sent, I also asked the judges to take a look at our website, The SPORTSMAN Online!, and consider that as part of the application as well. After all, the website was designed as an electronic adjunct to the paper newsletter. Now here's why I'm making such a point of spreading the credit around: The August edition carried a feature article by the son of Dale Saverud, Erik, talking about their beloved family cabin in the Montana woods. Gerhard Schroeder contributed September's feature article, "Dog Days". I also had a little article in that issue called "Tuning Up For Deer '98". Gerhard again headlined the October edition, teaching us all something about the sport known as BR-50. And finally, in the November '98 issue, Mark Snyder shared the tale of how he got that fabulous drop-tine Kaibab buck. Then, of course, if the judges really did visit the website, they would have found the archive of member articles going all the way back to '93! Well here it is, almost the end of '99, and we're only hearing now that we won the award for '98? The application deadline was December 31st, 1998. I figured that the normal flow is that the judging takes place during the annual convention. But remember that by awful circumstance, the NRA Annual Meetings were scheduled for Denver, right after the Columbine High School incident. 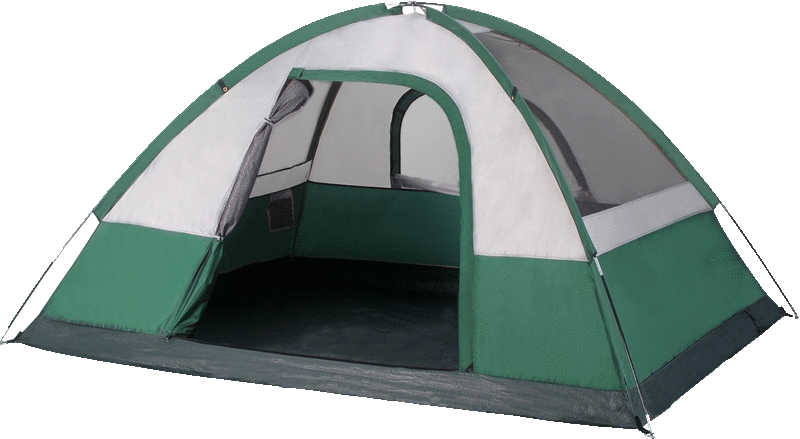 Subsequently, "out of deep respect for the families," the convention was cut back to the bare minimum. I watched for an announcement in the NRA magazines after the meetings had concluded, and noticed that other awards were announced, but not for Outstanding Newsletter. As time passed, I figured that either we didn't win, or that there simply was not going to be an Outstanding Newsletter awarded for '98. As a matter of fact, just last week, I called NRA HQ asking when award applications would be sent out for '99. I was hoping to reapply. I was told that they were running a little late this year, and that applications would be sent out in about a week. Then, out of the blue, on the day before Thanksgiving, this package arrives from NRA, with a very elegant 8½" x 11" plaque, a congratulatory letter, and a press release! As it turns out, we can't apply again for the same award for three years. But we can apply for other categories! I was thinking about the "Shooting Club Achievement Award" which requires that we "conduct at least one basic firearms training course, program, or activity" (NRA Handgun Marksmanship Qualification Program, 24 participants), and "conduct at least one public service program" (8 consecutive weekends of NRA recruiting with more than 70 NRA members signed up). Hey, it's worth a shot! So remember, the next time that you mention our newsletter, don't forget to put the words, "award winning" in front of the word, "newsletter"!